A U.S. News and World Report listing of the best diets ranks them in several categories, but some of the best ones aren’t getting rave reviews. 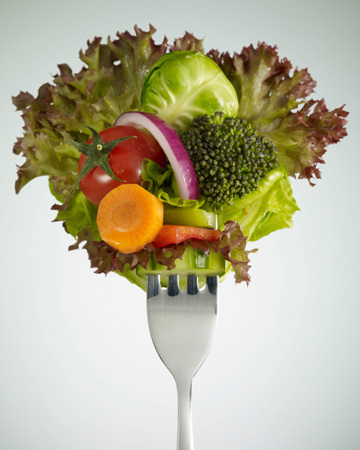 U.S. News and World Report has released a list of the best diets. Out of 32 diet plans, the best overall diet was the DASH diet, while Weight Watchers came in first as best weight loss diet. Sharon Palmer, a registered dietitian and author of The Plant-Powered Diet, explains that the DASH diet began as a means to lower blood pressure before research discovered it had other benefits such as weight loss and lower disease risk. “It just shows that the diet for optimal health — whether it’s for preventing type 2 diabetes or heart disease — is also a diet good for maintaining a healthy weight,” Palmer says. She also praised Weight Watchers for its ability to create well-balanced, energy-controlled eating plan that also integrates behavior modification, group support and monitoring — all things that have been found to be valuable in shedding pounds. Are all diets on the list healthy? Not all nutrition experts agree with the diets featured on the list, or some components of those plans. “I am horrified that Slimfast is in the top 50 percent of this ranking,” says Andy Bellatti, a nutritionist and registered dietitian in Las Vegas. He noted a few of the ingredients in Slimfast’s “sweet & salty chocolate almond meal bar,” including soy protein isolate, cocoa (processed with alkali), partially hydrogenated palm oil, enriched wheat flour, high fructose corn syrup, soybean oil, corn syrup, sucralose and acesulfame potassium, and artificial color. He said the cocoa has been stripped of most of its most healthful compounds, and the bar contains trans fats. Similarly, some Weight Watchers ready-to-eat products are often highly processed. Cassie Bjork, a registered dietitian and health coach based in Minneapolis, says that she agrees Weight Watchers can work if people make healthy choices and point allocations. The problem arises when people choose foods that aren’t satisfying and are high in sugar. She also doesn’t agree with the DASH diet because it emphasizes low-fat dairy and lean protein, and shuns red meat. “None of which I agree with or recommend,” adds Bjork. She says that low-fat dairy commonly replaces fat with sugar or artificial sweeteners that are much more detrimental to general health than fat is. And if you eat organic, grass-fed meat, the fat is healthy for our brains and waistlines, she says. Palmer says that she worries that people may not develop the tools they need to eat healthier on their own when they follow a diet like Jenny Craig, which was ranked second on the best diets to follow. “This might be a great plan to help people get some weight off and then start learning diet strategies to manage shopping, cooking and eating out so that they can achieve long-term weight maintenance,” she says. So which diet should you follow? Bellatti favors ditching the entire list and adopting general healthy eating practices instead of a specific regimen. “The American public would benefit less from rankings and lists, and more from nutrition advice based on common sense and whole, real foods,” Bellatti says.